The Community Foundation would like to recognize and thank the following individuals, families, and organizations for their generous donations in the month of July. Your support is greatly appreciated. Just a reminder; applications are due back in the Community Foundation office on September 15th by 4:30 p.m.
Each year, students at Angola High School work hard to perfect their routines for band and guard performances. They participate in competitions and lug around costumes, props, and instruments in a large trailer. Until last year, they depended on a trailer from 1978 that was leaking and could not safely lift to elevate instruments and provide additional lower storage. 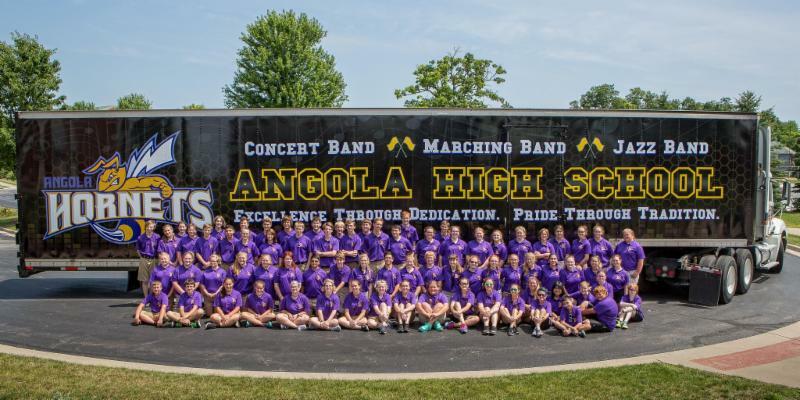 Thanks to the Angola High School Band Bosters Fund, established in 1998 at the Steuben County Community Foundation, they were able to purchase a semi-trailer without being forced to sacrifice funds for uniform and instrument maintenance or competition entry fees. In addition to looking as good as the band sounds, the new trailer is safer and has more storage area that can be loaded and unloaded efficiently for competitions. Now that their trailer issue is resolved, the Band Boosters plan to combine SCCF aid with other fundraising to replace their decade old uniforms with new ones that will require less maintenance. However, SCCF’s support for the band extends beyond material investments. For the past several years, a number of drum majors have also benefitted from scholarships to attend leadership camps. When students are able to bring back leadership skills and achieve individual growth, both the band and the Steuben County community benefit from the investment. Thank you to Steve Bowen for this photo of the band and their new trailer! 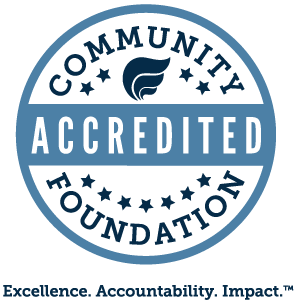 This month, SCCF made 76 grants from Designated Funds to support nonprofits. A designated fund is a permanently endowed fund held at SCCF that distributes a portion of the interest earned each year to a charitable cause. 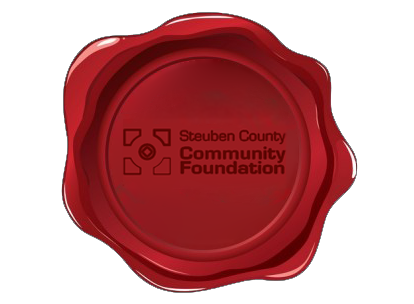 These funds are established by donors or by organizations to provide sustainable income for community serving organizations. In total, SCCF granted over $200,000 from these designated funds in August. Grants range from $80 to $25,000 for these organizations, and they have all expressed their appreciation for the continuous impact of donors who created and contributed to these funds. Nonprofits representing a variety of causes benefit from designated funds, from the environment and education to basic needs or senior adults. This summer, we asked nonprofits how they used their distributions in 2017. Their responses were simple, but showed a great variety of work that’s being accomplished in Steuben County. Because of these designated funds, grantees were able to upgrade equipment for increased efficiency, award scholarships to students seeking a better future, spay and neuter animals to keep the stray population in check, and train staff and board members to lead organizations more effectively. Something as simple as paying part of the electric bill allows organizations like Turning Point Shelter to focus on their mission and provide meaningful services for clients, or to replace HVAC units at a church so that other income can be used for their missions. 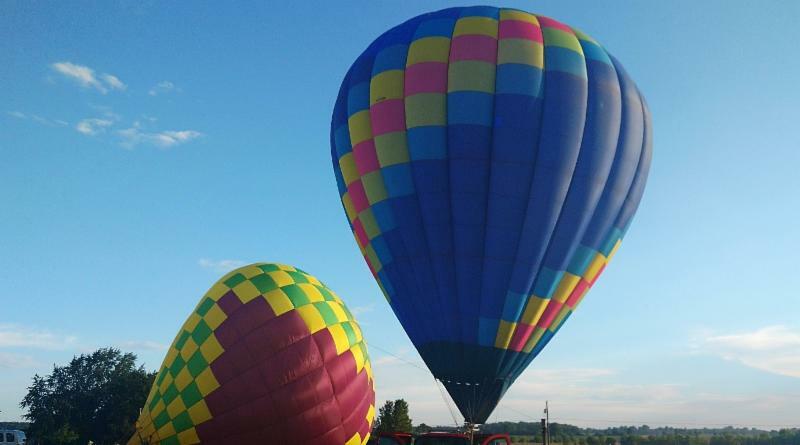 Many grant recipients expressed gratitude to SCCF for the annual support, and they acknowledged that some projects and programs would not be possible without the generosity of donors who contribute to these designated funds. Click here to see a list of organizations receiving Designated Fund grants.